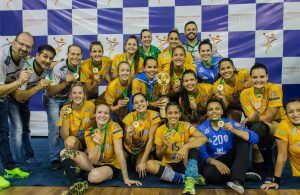 The Asian champions defeated Argentina 26-25 and will travel to Cologne to play the President’s Cup. Qatar and Argentina met this afternoon in a match that, before the beginning of the competition, it might have been expected to be decisive for a main round ticket. However, because of the way things turned out in the group, it became a match that decided the fourth place. In a very tight encounter, the Argentinians took the lead and after 10’ were winning 4-6. However, 4 uncontested goals put Qatar ahead 8-6 after 13’. 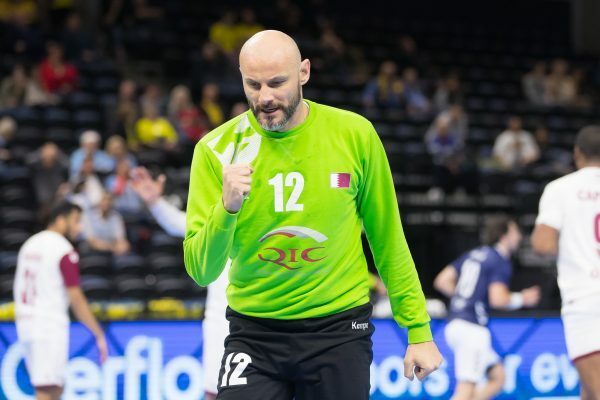 Some timely saves by Danijel Saric allowed Qatar to remain at a safe distance against an Argentinian team that, just like on the previous matches, was rotating its squad. Another 5 uncontested goals between the 20th and the 26th minutes helped the Asians extend the lead to 15-10. Argentina was finding the way to the goal, but would fail in the definition, against a Saric that did not have a good beginning, but improved as minutes went by. At the end of the first period, Argentina managed to shorten the gap and finished three goals behind: 16-13. On the second half, the match became much tighter. Argentina started to score most of their chances and after 10 minutes managed to be only one goal behind, after two consecutive goals from Pablo Simonet (18-17). Leonel Maciel appeared under the posts to deny a penalty shot from Wajdi Sinen and, once again, Argentina were close to tie the match, but some technical fouls would make them lose possession of the ball and gave Qatar the chance to stay ahead. With 7 minutes left to be played, the conducted by Valero Rivera were leading 25-21, but 4 unanswered goals from Argentina sparked a little hope. Santiago Baronetto tied the match in 25 with two minutes left, but the South Americans could not hold on to that chance. Frankis Marzo, who was later on named best player of the match (and was top scorer with 8) scored one last time to establish the 26-25. On the last possession, the ones coached by Manuel Cadenas got a penalty shot with 10 seconds left on the clock. Federico Fernandez, Argentina’s most effective 7-meter shooter, couldn’t score against Saric and on the rebound, he was fouled. Unadverted of the time left on the clock, he shot to goal, but the ball hit the defense and got lost on the end line. Qatar finished 4th on the group and will move to Cologne to play for places 13 to 16 against Chile, Russia and Macedonia; while Argentina will stay in Copenhagen to play for place 17 to 20 with Austria, Bahrein and Serbia.